With all the information available for us on the Internet and in all the latest astronomy books, it's easier than ever before to learn about the many wonderful objects that are in the night sky. But to really appreciate and feel the magnificence of it all, you really do need to open your door and go outside and look up at the night sky. What YOU see and feel is completely a personal experience just for you! You may see a beautiful crescent Moon and ask yourself, why is the Moon a crescent tonight? You may see a pretty pattern of stars and ask yourself, what is that constellation? You may see a stunning flash blaze across the sky and you may ask yourself, what on Earth was that? If you are of a curious nature, you will want to know and find out more about these incredible things, you may even want to start to record what you see by making drawings or like me, start taking images of what you discover in your night-time sky. We live in a most remarkable time to personally learn all about our Solar System and the universe we live in. The technology available to us in the way of computerised telescopes and digital cameras is just amazing. A serious amateur astronomer can now take images of the planets and deep sky objects in unprecedented detail and beauty that would have been impossible just 10 years ago. My personal advice is to take it slowly and to enjoy the experience. You have plenty of time to take it all in and to learn at your own pace. You may just like to learn the constellations first then learn all about the Moon and the planets. This gives you a good grounding and knowledge of the night sky for when you progress to obtaining your first telescope to see more deeply and clearly into the universe. I also highly recommend that you find out if there is a local astronomical society close by, where you can meet like-minded people who will help and encourage you to enjoy your passion with astronomy. 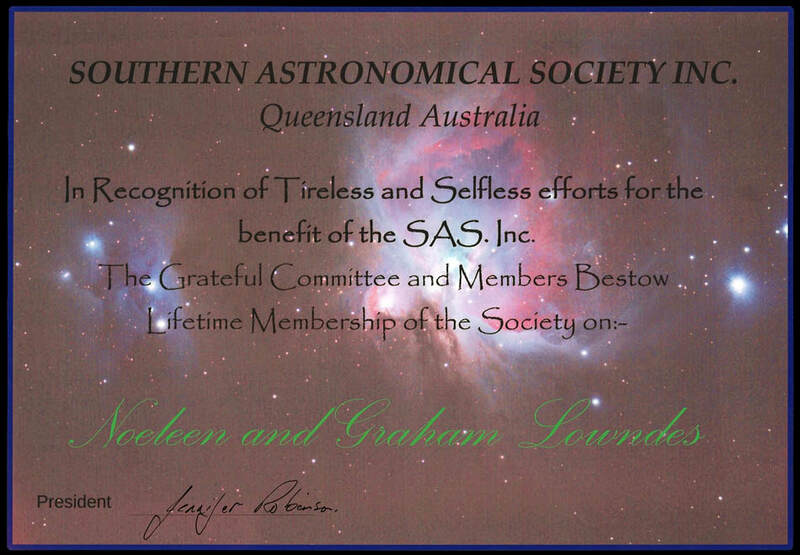 My local astronomy club is called the Southern Astronomical Society and we are situated on the Gold Coast in QLD Australia. I’ve been a member of SAS for the past 22 years and have been on the management committee for many of these years in the roles as Secretary, Vice-president, but mainly as the President. 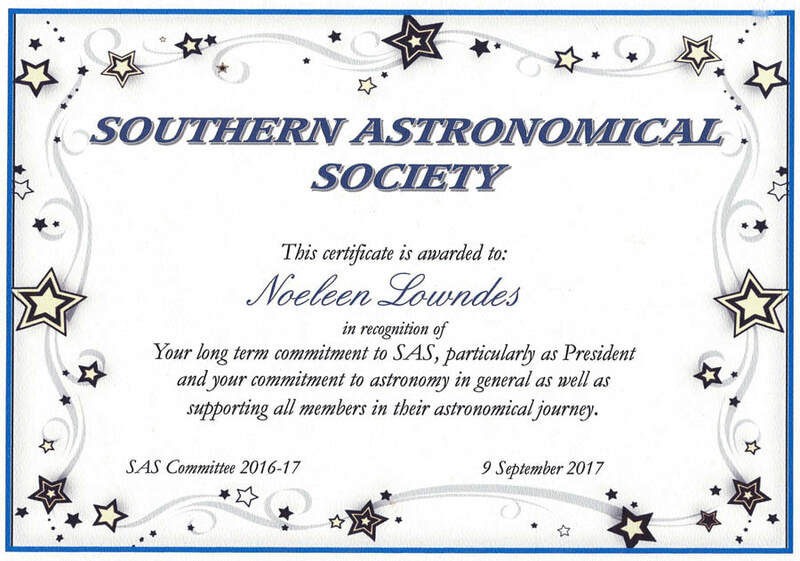 After so many years on the SAS committee, as of September 2017, I have finally retired from the committee to do some world travelling, but I’ll still be a very active member of this wonderful astronomy club. My web site is to share my love of astronomy and space and hopefully you may find something that helps you on your journey of learning all about this wondrous universe that we all live in.